PhraseBox Czech is convenient and easy in use. 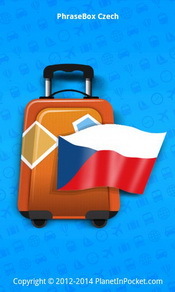 200+ essential phrases for traveling to the Czech Republic. Quick search of phrases by keywords. Input a part of word and the app will show you all phrases with this word in all forms. Size of app is small. You can download it easily. No extra downloading by use of the app.